I participate in Immacolata parish life because this is a special place for me and my family. The parish has given us significantly more than we could ever repay. My involvement in parish life is one way that I know I can give back. 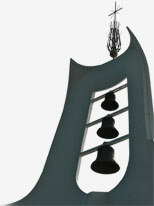 I participate in Immacolata parish life because it is a faith community unlike any other. When we began our time at Immacolata 28 years ago, I never fathomed the support and love that we would receive from the parish. This is just one of the many reasons I will always participate in Immacolata parish life. I participate in Immacolata parish life because of the awe that results from working together to improve our community of faith. I enjoy being able to witness the unique gifts and talents of our members up close at a fish fry, ball game or any shared activity that harnesses the time and talent of our members. The human capital in action is a source of inspiration and wonder in my life. In a very tactile sense, the spiritual goals we have can be personally witnessed and attained in the act of helping to make the parish grow. This timeless challenge renews in me a tradition established by my grandfathers and father before me. All of these men through action instilled in me a strong desire to serve the church in a tactile way. I feel God's presence and their presence around me when I sign up to help. I participate in Immacolata parish life because I enjoy being part of a community in which everybody works together to achieve a common goal; creating and maintaining a strong church and school. Maintaining a strong parish is vital in preparing our children to be lifelong participants in their Church and mindful of people in need. That sense of community and service is found when you volunteer at Immacolata...a wonderful example of both! I participate in Immacolata parish life because...It’s a way of life! 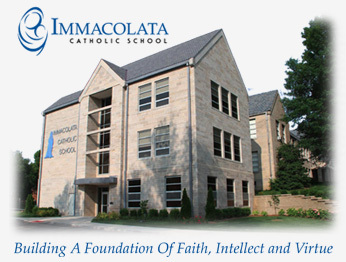 I have always wanted to give back because, firstly, my children received a wonderful education at Immacolata school. We also have received so much as a family, spiritually; and we all have been blessed to be a part of such a wonderful community—our extended family! The Cowlen family is truly grateful for all the blessings we have received at Immacolata.